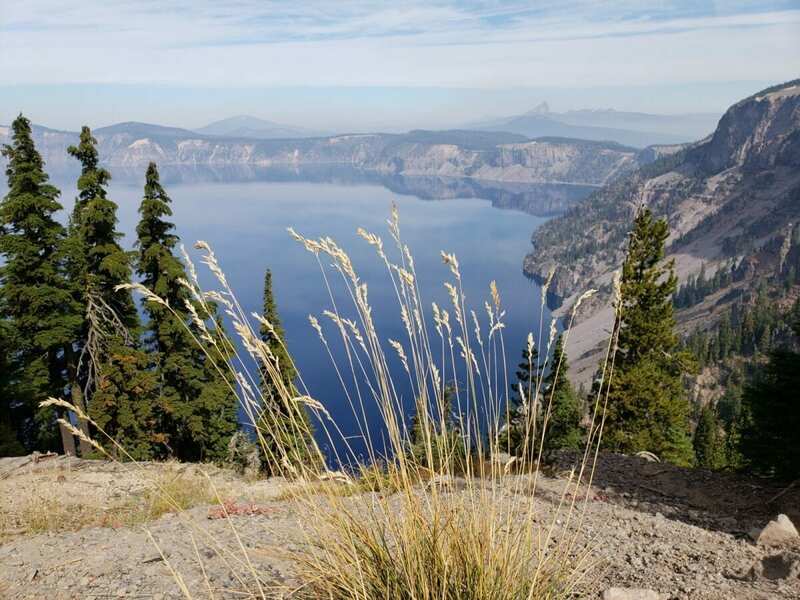 Experience the Best of Crater Lake and the Ultimate One Day Walk! 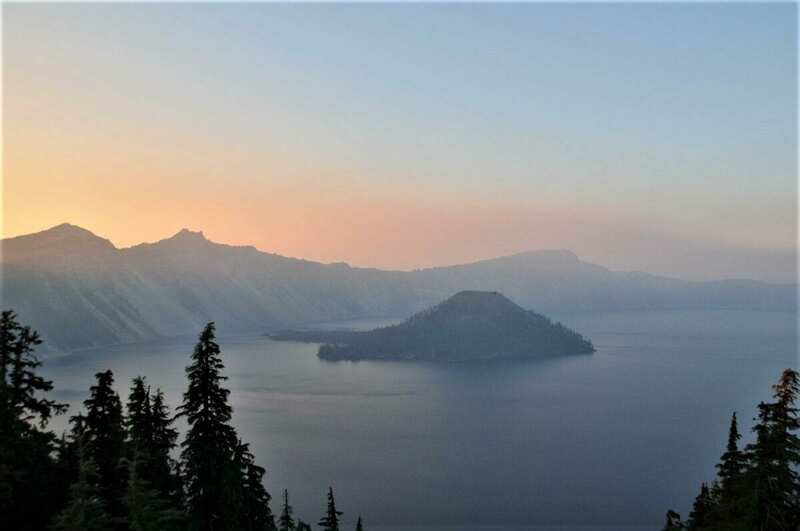 Experience the Best of Crater Lake & the Ultimate One Day Walk! Twice a year, the road surrounding Crater Lake National Park is closed for Ride the Rim. Riding or Walking the Rim experience is the ultimate one day walk. 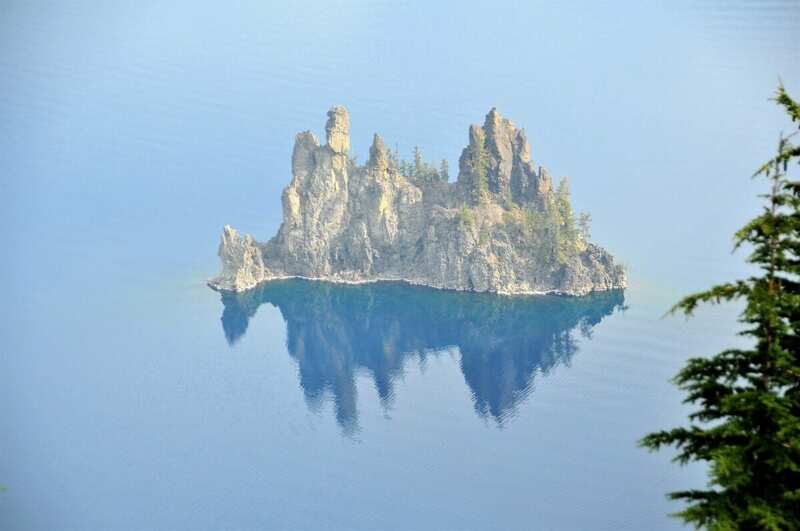 The deepest lake in America, Crater Lake is crystal clear and the most beautiful lake I have ever seen. 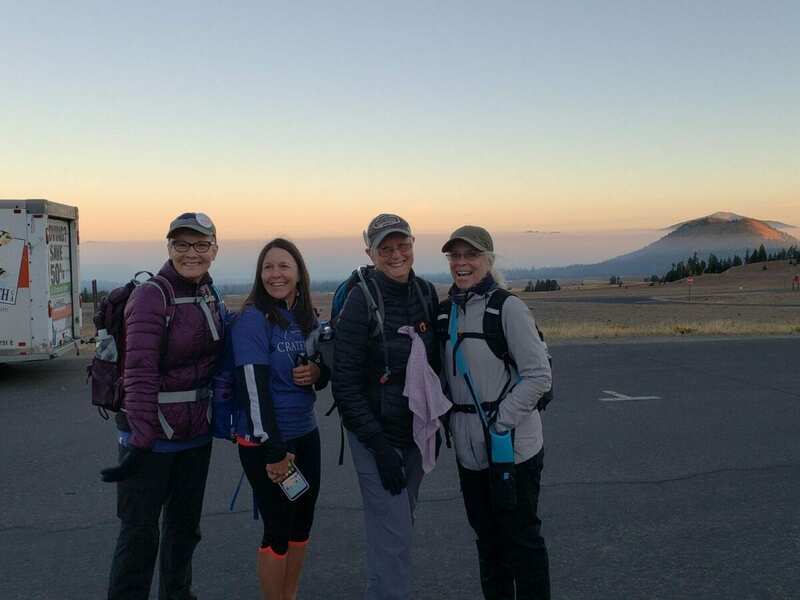 In 2018, my three women friends and I walked Crater Lake to celebrate my friends 75th birthday. With a depth of 1,943 feet, Crater Lake is the deepest lake in the United States – and one of the most beautiful. The water’s intense blue color is an indication of its great depth and purity. Surrounded by cliffs, the lake is fed entirely by rain and snow. 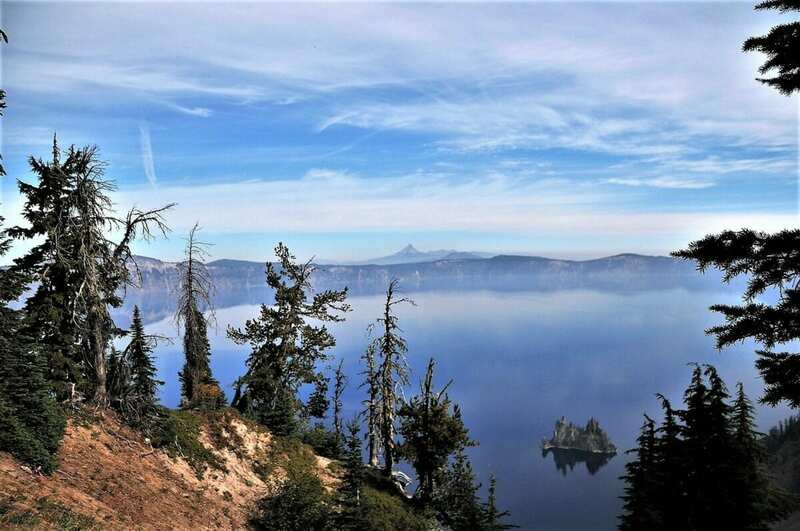 Scientists consider Crater Lake to be the cleanest and clearest large body of water in the world. Having earlier this year, walked Glacia, Camino de Santiago in Spain, the Crater Lake walk is shorter but is equally a wonderful experience. We completed the event without any incident or injury probably because we trained for this ultimate walk. The experience is fabulous and I highly recommend it. One thing that made it a good experience is we were ready for the walk. The training we did is worth the effort but, no one prepares for the steep grade of the road. It’s hard and painful to walk 24.6 miles on blacktop with a slant to the left or a slant to the right, depending on where you are on the route. Would I do it again? Maybe I would do it again. Surely, anyone who loves to walk, as I do, must give it a try. I recommend this walk for anyone who enjoys hiking, is fit, has a day to take in the beauty of this National Park, or who loves the U.S. National Park System. Each of us had a different training method. I did pilates three days a week and yoga once a week for stretching. I also walked each day, at least 10,000 steps. 10,000 steps are about 4.5 to 5 miles and I use my FitBit to measure my steps. 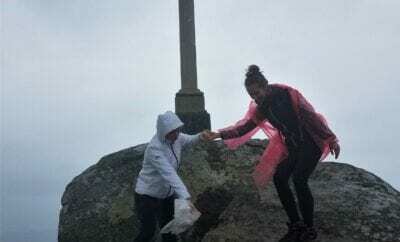 One of the women did two long walks each week, meaning, she walked over 12 miles per training day, and did this twice a week. She is in her later 60’s. And her training worked for her. One woman, who was from Texas did not train. She is 40 years old, and perhaps, she is in better shape than any of us knew. She may have hurt more at the end than the four of us. But, pain is relative, so I’m not sure about her pain level. 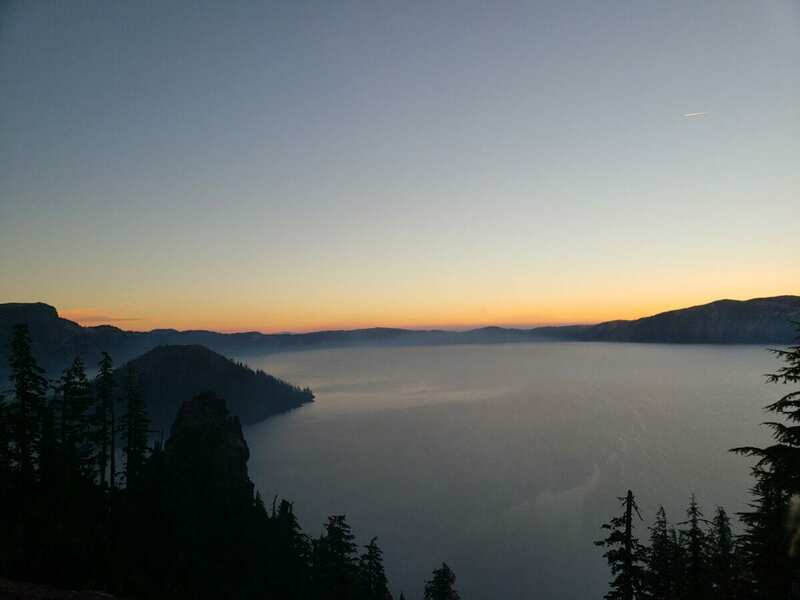 After walking Crater Lake, you might have foot pain. If you are prone to leg or foot pain, here are some tips to avoid it. 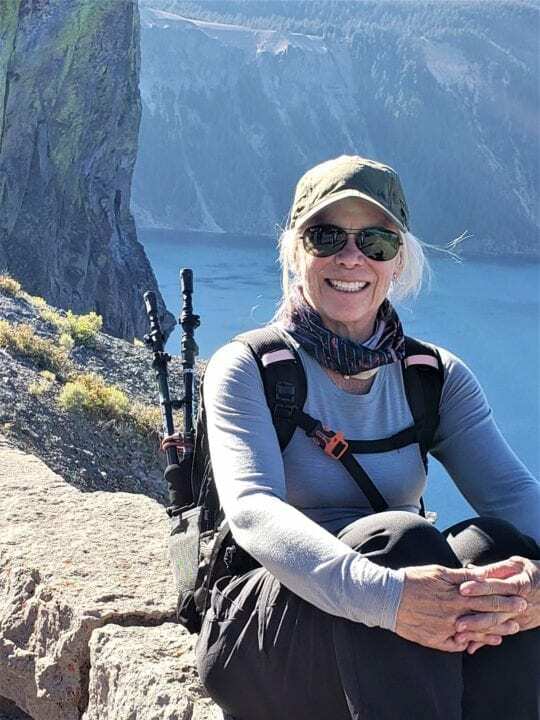 I practiced drinking 72 ounces of water each day before I began the walk because I discovered I wasn’t drinking enough water, so I had to practice to consume enough water for the trail. Before I left the morning of the walk, I drank 24 ounces. This definitely helped keep my hydrated and ready for a full day of walking. My friends stayed at the Aspen Inn located in Klamath, Oregon. I stayed at Crater Lake Resort also located in Klamath, Oregon. My lodge had a general store that closes at 8:00 PM which is open later than most stores in the area. Nearby is a truck stop and Casino – at the truck stop you will find the cheapest fuel in the area. Crater Lake Lodge is inside the park and the rooms are more expensive than staying outside the park. Rooms with views of Crater Lake are available. My dinner was great – salmon! 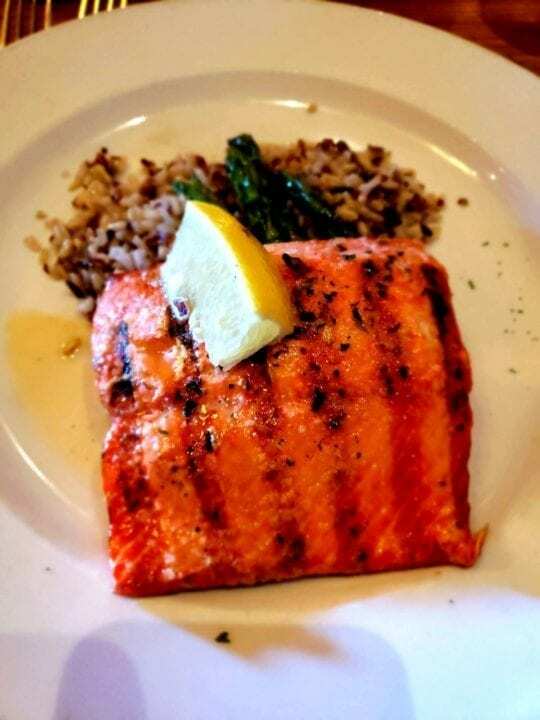 My yummy salmon dinner at Crater Lake Lodge Restaurant – it’s delicious. Next, time, I go to Crater Lake, I’m taking my daughter, and I want to stay here because it had an excellent restaurant, great views and built in 1915 to provide an authentic lodge experience. I guess I’m already planning to return to Crater Lake! Here is the island later in the day. 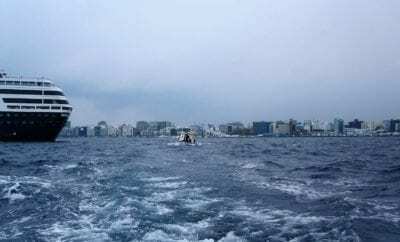 The Island is called Phantom Ship. Do you see the ship? My Packing List is the same as Camino de Santiago. Only 72 ounces of water (we were told to carry all the water we needed), and a light rain slicker was in my backpack. I flew in to Redmond, Oregon, two days before the event. Another town to fly into is Bend, Oregon. I flew into Redmond because I wanted to see the Newberry National Volcanic Monument – Deschutes National Forest. 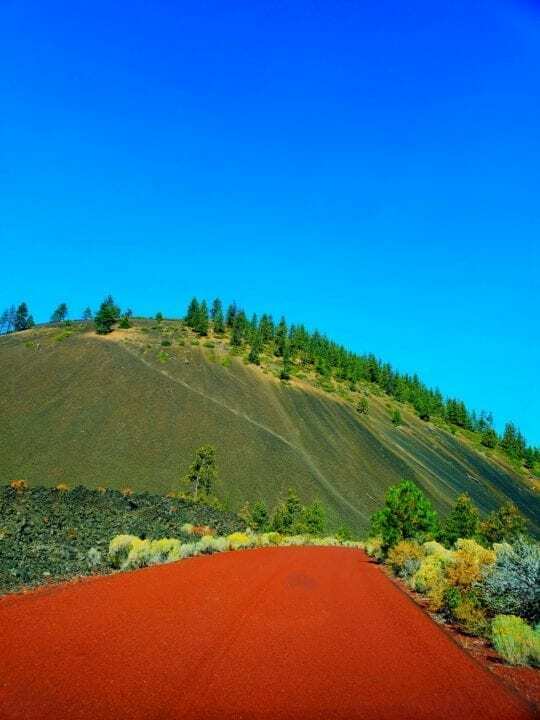 The Newberry National Volcanic Monument and isn’t part of the National Park Service, but, is a beautiful place to visit, it even has caves to explore, called Lava River Cave. The cave is 5,211 feet in length, and the northwest section of the cave is the most extended continuous lava tube in Oregon. Unfortunately, in 2018, forest fires dominated the news from California, Oregon, Washington and all the way to Canada. The forest fires affected the air the two days before our walk. The first day was very smokey and the second day continued to be smokey during the day and cleared at night. 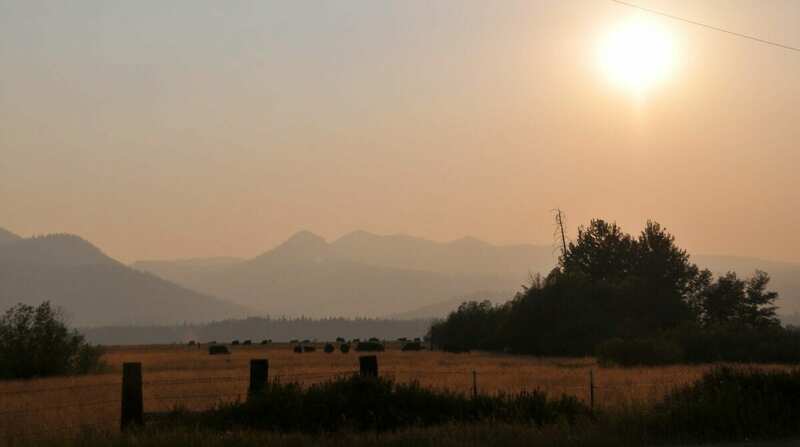 When we started our walk on the third day and by then the smoke and air quality improved. My friends and I stopped for a quick photo before we started. After we finished, I went straight to bed after eating at Crater Lake Lodge. I left the following day, so I could see another site on the way back to the airport since I’m in this remarkable destination. 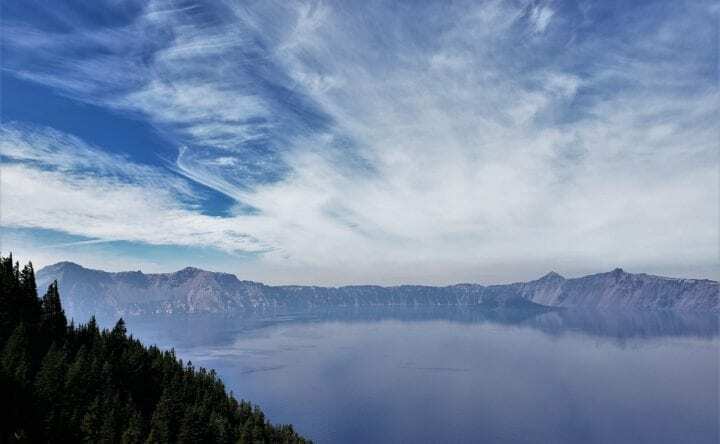 I went to Crater Lake two days early to acclimate to the elevation and scope out the walk. Crater Lake’s elevation is 6,178′. Crater Lake is higher than the mile high city, Denver, which is exactly one mile (5280 feet or 1609.3 meters) above sea level. 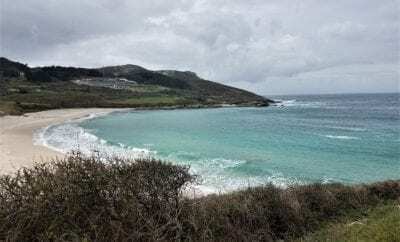 I have four takeaways about travel in general from this trip, that I want to share. First of all, I had a rental car and pulled off the road to take a photo of a field and the mountains behind it. I pulled over onto the gravel shoulder and quickly my two front tires sunk into the gravel with my two rear tires off the road and up in the air. Eventually, in about an hour, a car drove by and a German couple got out to help me free my car. They helped me by pushing my car off the gravel into the pasture. From the pasture, I got a running start by revving the car engine, flooring it, and driving from the field, back onto the balck top road. I took my wallet and charger and threw it on to the seat after using it, rather than putting it back in my bag. When I went to pay for gas, I couldn’t find my wallet. I hate moments like this, but, they are easily avoidable if you always put things back in the same place, every time. I keep my National Parks pass in my wallet because I never know when I can use it. When I went to Dry Tortugas, National Park off the Florida Keys, I hadn’t planned on going there. My National Pass was back at home. So now, I always travel with my pass at all times, because I never know when a great National Park will pop into my journey. My friends had this birthday walk planned and I joined their party. The trip is their plan and program. In this case, I may be added baggage because we didn’t know each other well, I wasn’t included in some things. Therefore, when I join someone else’s trip, I remember to keep perspective, I’m on their journey and a guest. I have ways to make it personal for me without intruding on their journey. remeber to keep a positive attitude and a big picture perspective.